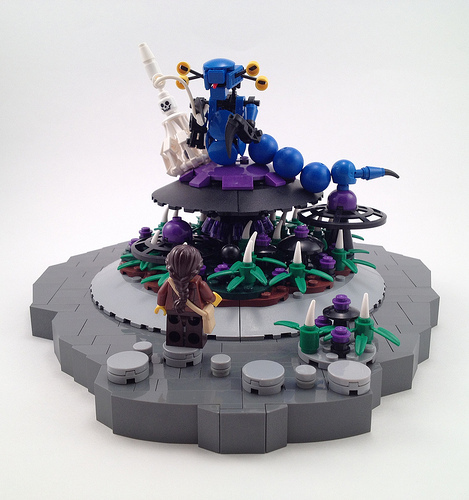 In his posting for this model on Flickr, builder A Plastic Infinity composed a list of reason why prospective viewers should take the time and leave a comment. Most of them were fairly boilerplate self promotional offerings like “Because it’s my favorite!” and “the photos are good this time.”, but my favorite was definitely “Medusa tails!“. How can I possibly argue with that logic?…so enjoy the Medusa tails, and the rest of this scene from an up and coming builder.